These days it seems there are a lot of lawyers out there advertising services. It can be difficult to know how to choose the right lawyer for you. To help, here are five simple questions to ask a potential DUI lawyer before you ever sign a retainer agreement. #1 – How Long Have You Been Handling DUI Cases? Like anything else, attorneys tend to get better with time. Attorney Todd K. Mohink has been representing real people in DUI cases for over 20 years. Don’t trust your freedom, your finances, and indeed your future to someone who may never have actually handled a DUI case from start to finish. #2 – Who Will Actually Represent Me? This may seem like an odd question to ask an attorney, but just like many other industries, attorneys often spend a lot of money getting cases in the door but then they dump the files on young, overworked employees who may have very little actual experience doing the job. Just think of your last visit to a doctor’s office. Did you actually see your doctor or an intern, assistant, or nurse? Many people today rarely actually see their doctor. Law firms are starting to go this route as well, with numerous paralegals, interns, and young associates handling the bulk of the work. At our firm, you will be represented by an experienced and seasoned lawyer. #3 – Do You Handle Other Areas of Law? While it can be great to work with a lawyer who focuses entirely on one area of practice, there are drawbacks. If you are in the middle of a DUI case and get served with divorce papers, will your DUI lawyer know what to do? Will he or she know the immediate steps to protect your interests? What if your DUI case turns into a more serious charge, such as a felony case? Will your attorney have the skill to continue representing you? Maryland DUI laws are complex, and a simple mis-step in talking to prosecutors can make things worse. #4 – Do You Offer Discounts for Servicemembers and First Responders? It may seem old-fashioned and quaint to offer discounts to those who risk their lives to protect us, but at the Law Offices of Todd K. Mohink, P.A., we offer discounts for military and first responders. This can make a significant difference for those who are on a budget and trying to get the help they need. #5 – What Payment Options Are Offered? Some lawyers – even in this modern day and age – do not take credit and debit cards. For someone arrested for DUI, getting to a check book or making a sizeable cash withdrawal may not be an option. When you need immediate help, it’s helpful to know a loved one out of state can pick up the phone and pay your retainer with a credit card, if necessary. 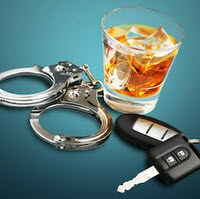 If you are facing a DUI in Maryland, don’t trust just any lawyer with your case. Give Todd K. Mohink a call to get real advice and support from an attorney with more than 20 years of experience. With offices in Glen Burnie and Columbia, we make it convenient to get help when you need it.